After the big holiday rush of food indulgences, one of my resolutions is to be better about enjoying the process of things, and it always begins in the kitchen for me. 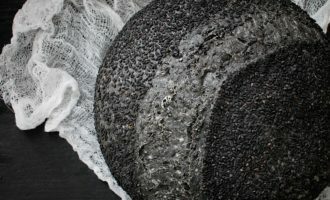 I feel like when I’m connecting with my food and slowing down to appreciate the beauty of the process, other things start to fall into place. One of my favorite ways to slow down to connect with my food is to take the time to cook with my kids. We measure, we shape, we fold, we chop, we taste, we talk, we get messy, and we laugh. 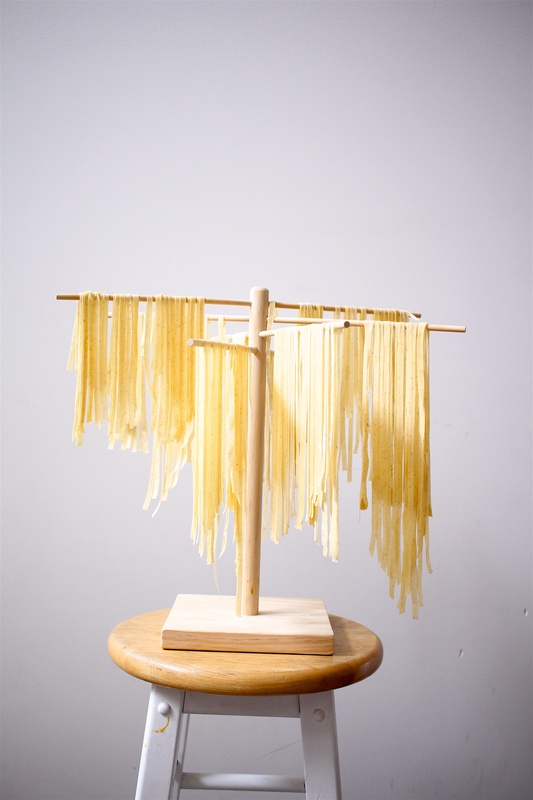 There are lots of jobs that kids can do at varying levels, and pasta is a great place to start. 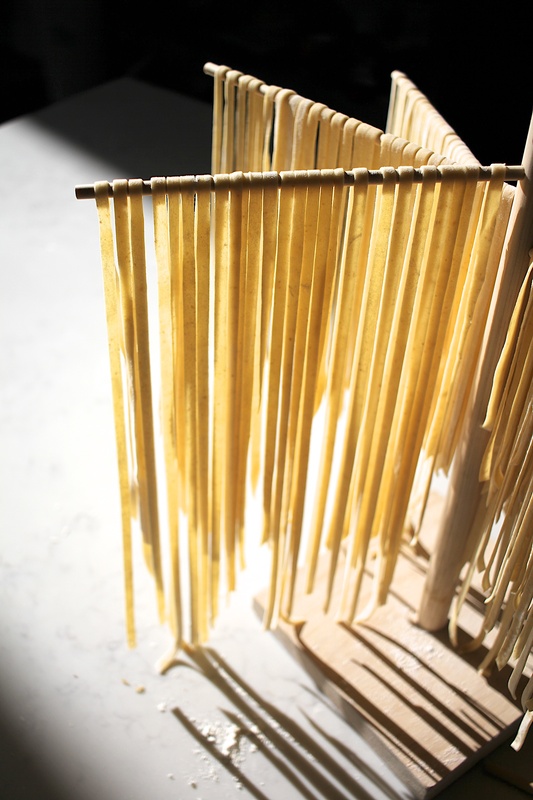 It’s a surprisingly simple task if you have a pasta machine, and if you don’t have one, I recommend it. This is my favorite. It’s a work horse, but still in an affordable range. You can even do the mixing in your stand mixer if you like. I usually use a shallow, wide bowl, and we do it by hand. Just because it’s more fun. But on a busier weekday, I’ll use my stand mixer and it does a beautiful job. 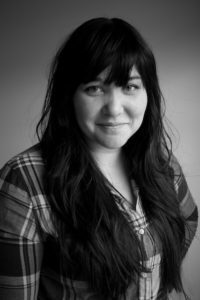 I experimented a lot until I found the right balance of elasticity and tender texture. I tried whole eggs, all yolks, added back some whites, salt, no salt, oil, no oil, and finally settled on what I like. And it’s fairly simple. Flour, starter, eggs (and a splash of water, if you need it). I don’t add salt because you salt the cooking water anyway, and salt prevents flour from absorbing liquid. 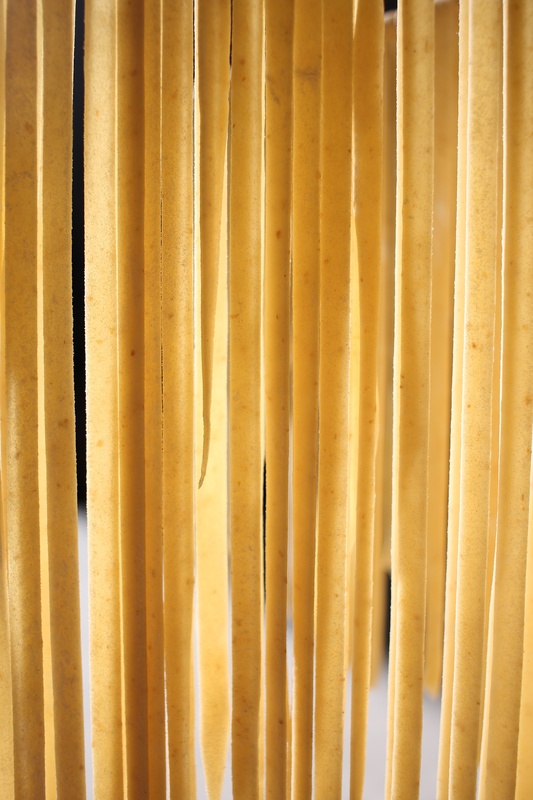 Salt also semi-cooks the eggs, and we want a silky smooth pasta dough that’s properly formed. The salt can wait until later. The key is to go by feel. If it crumbles, it’s too dry. If it’s sticking to your hands once it’s all mixed in together, it’s too wet. You want a dough that’s silky, has a little bit of tack to it, and holds together really well. And after a decent rest, you’re ready to roll. The beauty of this recipe is that because you’re not counting on it rising like you are with bread, you don’t have to worry as much about timing. You can make it 30 minutes before rolling out, or let it rest up to 24 hours ahead. I’ve tried it all, and been happy with my results every time. Now get your favorite pasta sauce on the stove and lets get started! When ready, cut the dough into 8 equal pieces. Roll one piece into a ball and press it into a disc. 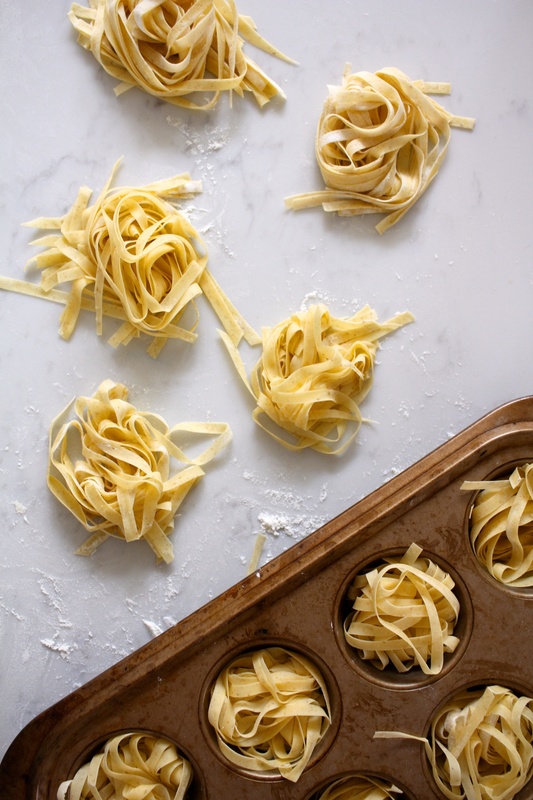 Roll it through the pasta machine on the widest setting and fold in half. Repeat this process until the dough is very smooth. Take the width down one notch and roll it through. Continue rolling the dough through each width until you've reached the thinness you desire. I tend to stop on the second or third to last setting unless making filled pastas. 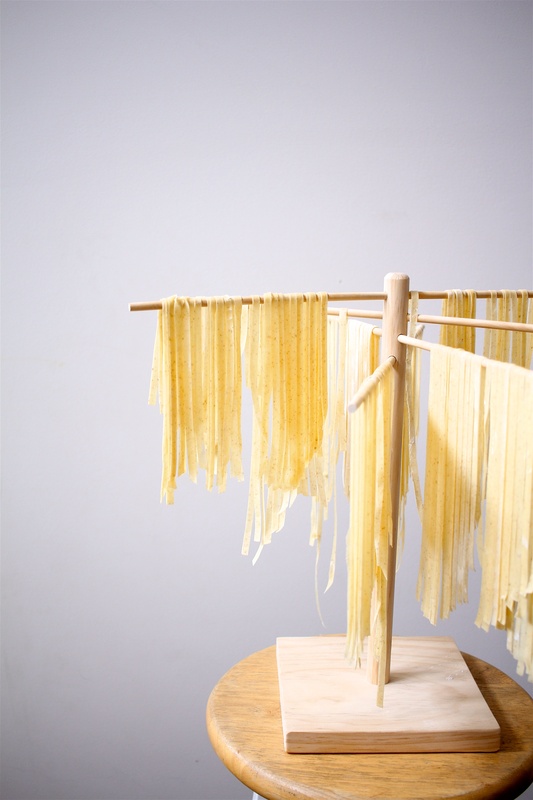 Cut to desired width and hang on a pasta rack or wooden spoon suspended between two jars. Repeat with remaining dough. Cook in salty boiling water. You know it's cooked through when the noodles float to the surface. Serve immediately. Awesome post. 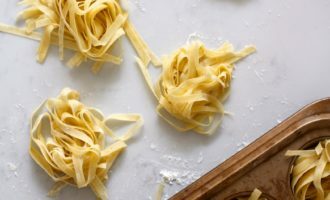 Sourdough pasta has been on my list for a year or so. This reminded me to get on it!! Thanks.